Lenovo’s going all-in on IFA this year. The company announced a new Chromebook, a Snapdragon-powered Windows laptop and some smart home devices, among others. The most compelling bit from the bunch, however, has to be the Yoga Book C930. The C930 takes things even further, swapping the Halo keyboard for E Ink. It’s an interesting application for the technology, which has largely been relegated to the world of e-readers. 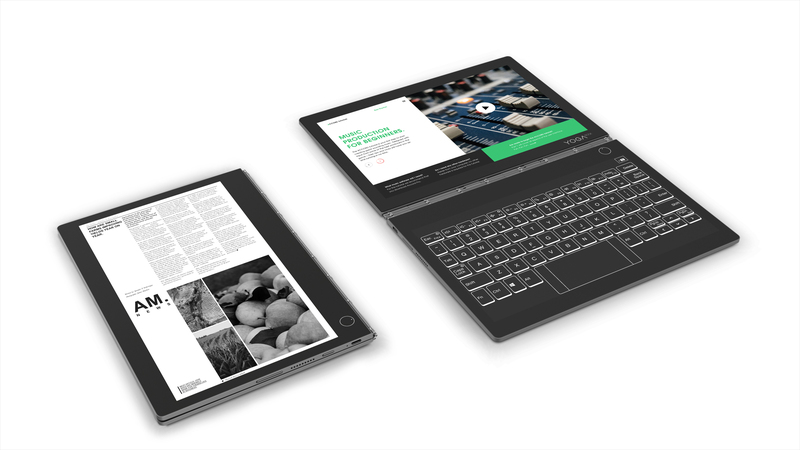 The secondary display serves the same function as on the A12, doing triple duty as a keyboard, notepad and e-reader. I haven’t had the opportunity to try the product, so I can’t speak to the responsiveness of the on-board E Ink tech, but as anyone who’s ever used a Kindle can tell you, refresh rates can be killer on these sorts of devices.